This issue features Elizabeth Patrick, Senior Vice President and Chief Human Resources Officer at Veritiv Corporation. In the interview, Patrick discusses her experience building an HR organization at a new company, defining corporate culture and values, and attracting, retaining and developing talent in the evolving B2B distribution space. Veritiv was founded in 2014 following the merger of xpedx and Unisource. Patrick joined xpedx in October 2012 as Director of Human Resources - Field Operations. 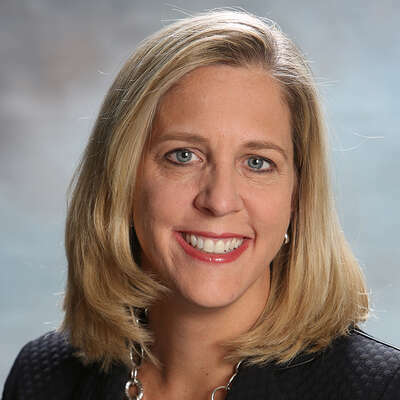 She became Vice President of Human Resources in March 2013, also serving as a member of parent company International Paper Company’s Human Resources and Communications Lead Team, and on the xpedx Senior Lead Team. 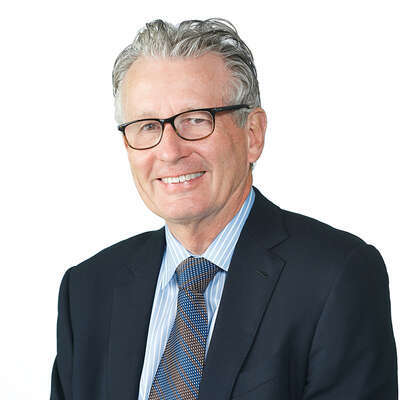 Previously, Patrick was Vice President of Human Resources of TE Connectivity, a global electronics manufacturing and distribution company, from 2008 to 2012. 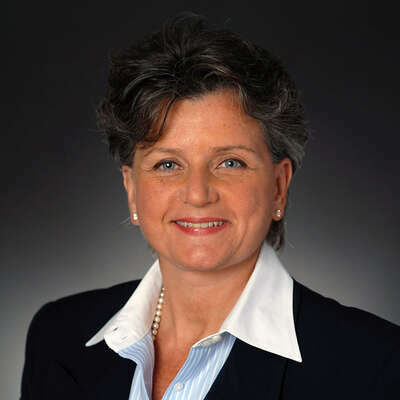 Prior to joining TE Connectivity, she was Vice President, Human Resources of Guilford Mills, Inc. and served in a variety of roles at both General Motors and Delphi Corporation, a GM spinoff and global automotive parts manufacturer. Patrick earned her bachelor’s degree in finance and international business from Michigan State University and her MBA from Wayne State University. Boyden: You’ve been at Veritiv since its founding in the summer of 2014. What were your expectations of the company and your role at that time? Patrick: When I initially joined xpedx, I was responsible for exploring opportunities for efficiency across the business. I had previously worked in electronics and automotive, among other industries, and was interested in the opportunity to experience a new industry and learn about distribution. Several months into the role, I was notified that xpedx was entering a letter of intent with the organization that owned Unisource Worldwide. I was offered the opportunity to stay on at International Paper or go with the group that would ultimately become Veritiv. I joined Veritiv, excited about the opportunity to be a part of something new, where I could make a real impact. Boyden: How has Veritiv developed its corporate culture and what is the senior team doing to build and promote this culture? Patrick: As a new company, our culture is in its infancy. When you put two organizations together, you do your best to take the best of both organizations. At Veritiv, we are carving our path, drawing upon the best of our legacy organizations to create an organization defined by shared values. We are using a variety of methods to impact the culture and continually define, evaluate, and refine those methods. We consistently promote our values in all corporate messaging, including town halls and employee feedback lunches. Our CEO and Chairman, Mary Laschinger, recognizes people across the organization for embodying our values. Additionally, we hold people accountable to these values by evaluating not only what they do, but how they do it as part of the Veritiv performance management process. Boyden: Having been at Veritiv from the start, what about the organization are you most proud of? Patrick: When Veritiv was first established, we had to start from ground zero. We didn’t have benefits, a Transition Service Agreement, HRIS, or payroll system. We had to create these processes from the ground up. Looking back at the work that went into those foundational steps, I am extremely proud of the organization and the decisions we made. We were lucky to have found great HR partners and, in just seven months, we rolled out a human capital management system including benefits and payroll. As difficult as the lifting was in those first seven months, we had the freedom to shape our systems and processes and ultimately build the type of HR organization we wanted to be a part of. The work we did in those early days shaped Veritiv into the organization that exists today. Boyden: How has your background informed your approach to HR? Patrick: Above all else, I consider myself a business leader. I started my career in finance and have since experienced a range of industries and positions. In these roles, I was very close to the business and able to deeply understand the intrinsic business needs, ranging from growing the business to streamlining the business to managing succession planning. Now, in thinking about how HR can solve business problems, I am less focused on the specific HR processes and more concerned with being a problem-solver for the organization at large, which is very exciting. Boyden: How would you describe your approach as CHRO? Patrick: My approach is ever changing. I think most CHROs, regardless of industry, need to be dynamic as the business of people continues to evolve and outsourcing continues to increase. Amidst these changes, at Veritiv we are focused on identifying what we want to be known for as an organization, and outsourcing that which is not a competitive edge for us. Processes like payroll and benefits administration are never going to determine the future of an organization; they are expected in every company. In finding a great partner to work with on these items, we have gained capacity to allocate time and develop the strategy for those areas that more significantly impact the bottom line. Boyden: How has the logistics business changed over the past several years? Patrick: The logistics business has changed dramatically amidst automation, data analytics, and sophisticated decision support tools. However, the application of these tools is quite specific for a company like Veritiv that ships large lots or pallets. This pallet business model does not lend itself to a distribution platform in the same way that small shipment businesses do. The application, therefore, of automation and technology in our business model is quite specific. As a result, we are currently using tailored processes to leverage artificial intelligence and data analytics to accelerate and streamline our business. Boyden: Veritiv recently presented its innovative packaging, products and services solutions at several conferences and forums. As a B2B distributor in the print industry, how does Veritiv make innovation core to the business? Patrick: Interestingly, many people think that a print organization might lack innovation, which could not be further from the truth. The very nature of Veritiv’s culture is rooted in our aptitude for innovation and ability to move forward in the industry. We have adapted an innovative approach to identifying and responding to the evolving needs of the industry. For instance, we have an innovative sales model where the entire team, not a single sales representative, ensures we are meeting the revenue and gross profit needs of the customer. Additionally, within our packaging division, we have a talented design team tasked with developing new and innovative packaging solutions for product needs. With these innovative offerings, Veritiv has maintained a leadership position even as the print industry has declined. Boyden: What is Veritiv’s strategy around talent attraction and retention? Patrick: Talent attraction has become extremely challenging as we’ve reached record lows in unemployment across the country. Jobs that were once relatively easy to fill, like truck drivers and warehouse workers, are now some of the most difficult. In this climate, we focus considerable energy on determining our talent strategy, including talent attraction, talent retention and employee development. Our senior leaders are committed to coaching, mentoring and offering job rotations for career development. Additionally, we want all Veritiv employees to feel that they have a career here at Veritiv, not just a job. Many people think this long-term career outlook is limited to the salaried workforce. However, we have created a warehouse-to-driver program that is creating tremendous opportunity for our employees, including those in the hourly ranks, to grow and develop their careers. Veritiv is not a household name, so we are dedicated to finding ways to build our brand identity so that people understand that by joining Veritiv, they will have an opportunity to make an impact. As a flat organization, we offer great individual development and experience working closely with senior leaders. Boyden: What do you look for in your direct reports? Patrick: First and foremost, I am looking for people who fit our Veritiv values of integrity, teamwork, people commitment, customer focus, operational excellence and passion for results. Those values are core to Veritiv’s foundation so we are extremely focused on finding folks that embody them. I can teach you about the organization or about business processes but I can’t create those values. They must be innate. Boyden: How does Veritiv approach talent development? Patrick: We have created a comprehensive approach to learning that provides opportunities for in-role development, creates readiness for future roles, and advances leadership skills. Specifically, we have an extensive system of learning called Front Line Leader Academy, focused entirely on our front-line leaders. This is an immersive, 90-day experience that uses instructor-led, web-based and virtual classrooms to offer exposure to senior leaders and continuous coaching. At the end of the 90 days, there is a graduation and a 360-degree review process, where participants receive feedback from all the teams they have worked with. We are also in the process of developing our sales effectiveness training, which is designed to create a consistent approach for all sales employees. Boyden: Looking back at your career, what is the biggest challenge you’ve experienced and what are the major lessons you’ve learned? Patrick: One of the most significant challenges people face, particularly when they are young in their careers, is remaining open to change and taking advantage of the opportunities that lay before them. It is important to recognize the benefits of career zigzagging as a journey to the professional future. Because of the way my career has ebbed and flowed and changed direction, I’ve looked at my path as a lattice, not a ladder. In many ways, I think a lattice is much stronger than a straight line, as it offers greater levels of experience, cross-functional opportunities and geographic variety. This creates a more well-rounded background, which should be a source of pride. 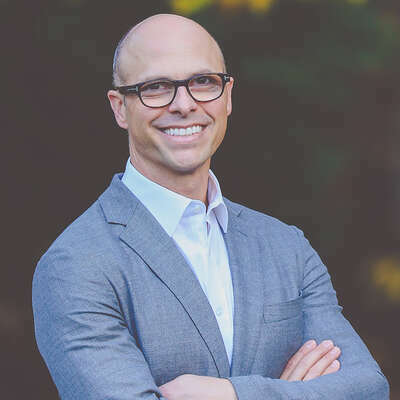 We would like to thank Daniel Grassi, Managing Partner of Boyden United States, for making this edition of Boyden’s Leadership Series possible. The views and opinions expressed here do not necessarily represent the views of Boyden; only those of Ms. Patrick.